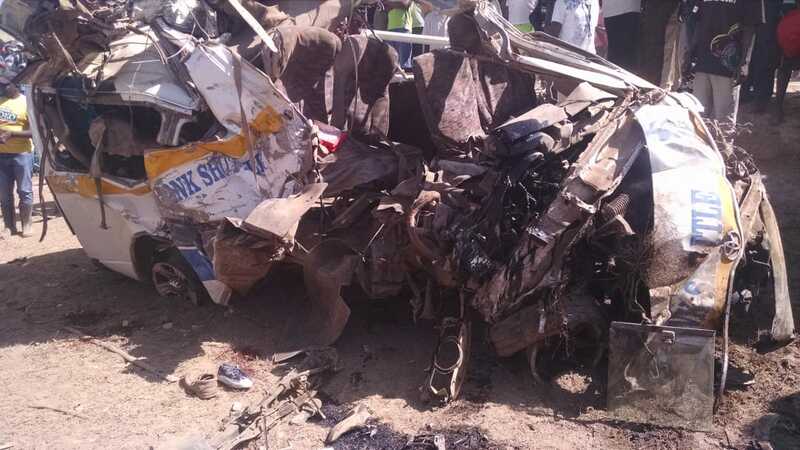 More than 10 people have died after a trailer rammed into the matatu they were traveling in at Kikopey along the Nairobi-Nakuru highway. 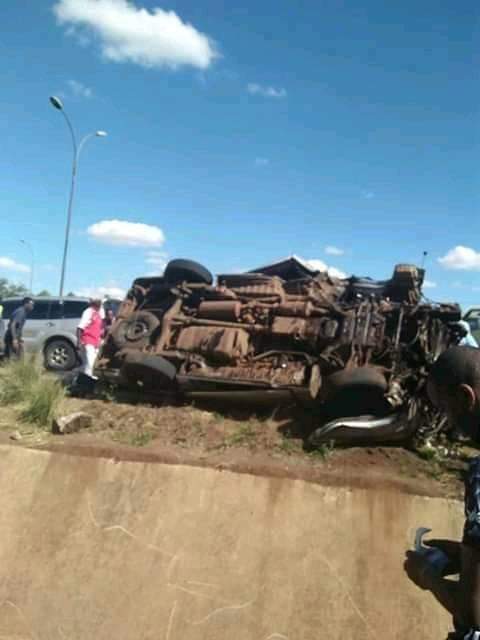 They were traveling in a Nissan belonging to 2NK sacco. 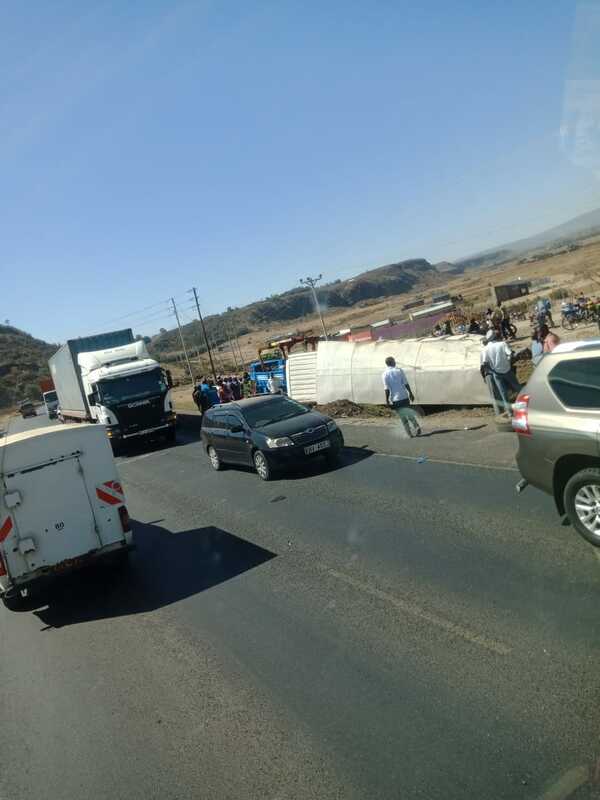 According to witnesses, the trailer rammed into the matatu before hitting five other vehicles and landing in a ditch. 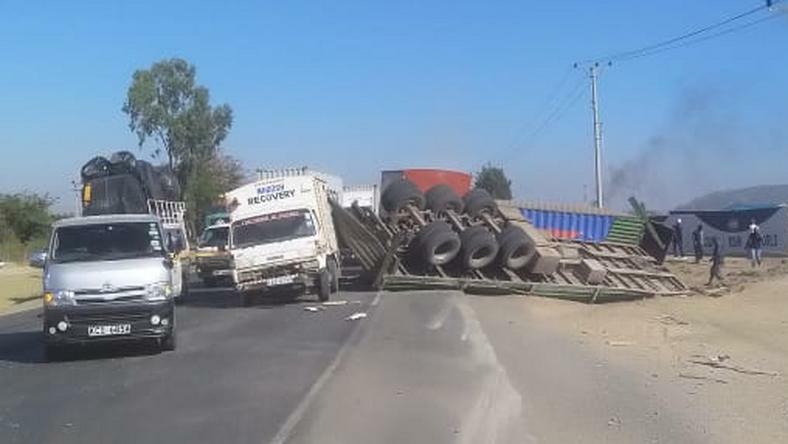 Several motorists escaped with minor injuries while the driver of the trailer who survived ran away. 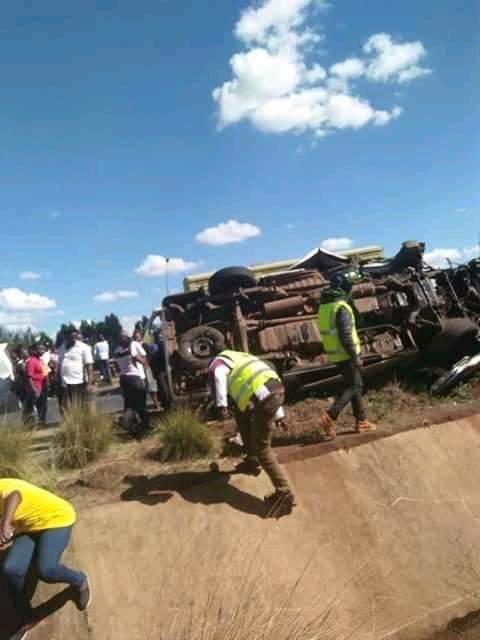 All the eleven passengers in the matatu that include six women and five men died on the spot while the driver of the truck escaped soon after the accident. 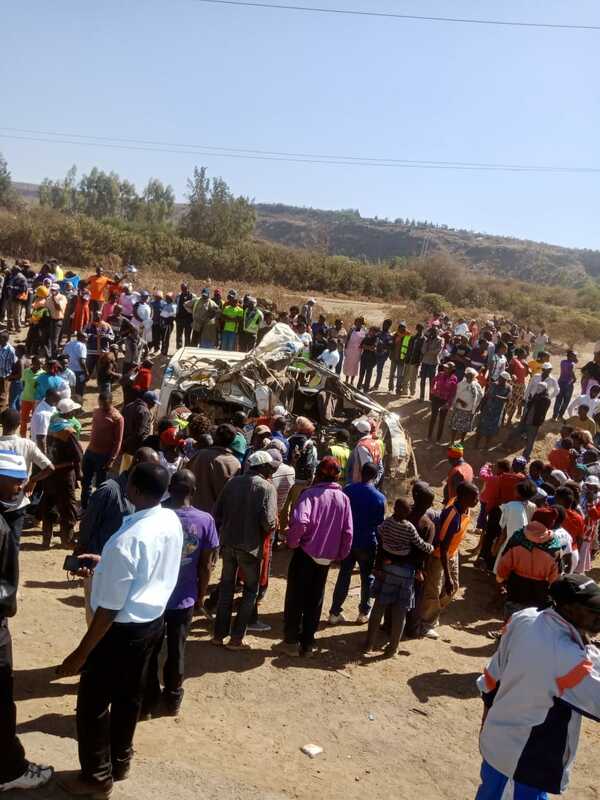 Kirui Kigen: Sad moment in Kikopey. Drivers should be cautious while driving. Pst Ruth Davids It’s very sad…… My condolences to the families of the deceased.